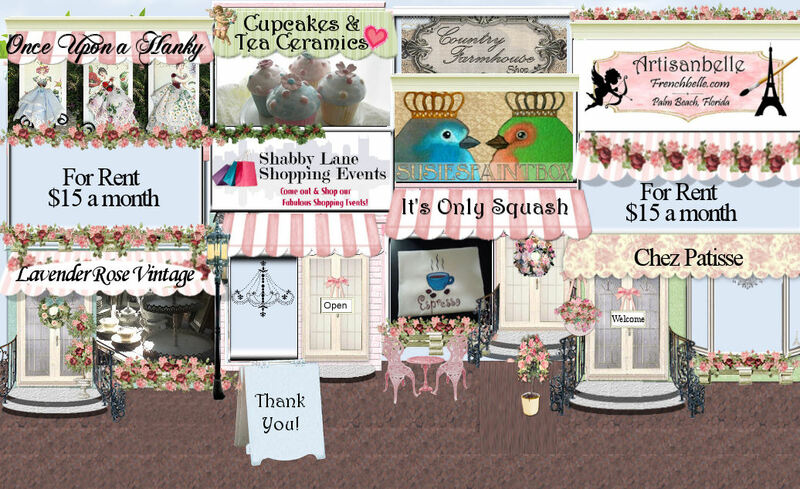 Shabby Lane Shops is a great online shopping mall and source to find romantic, victorian, shabby and chic, cottage style, unique web design, romantic cottage, victorian, feminine, paris and french style, upscale boutique decor and accessories. Whether you are looking for uniquely beautiful and romantic furniture, hand painted decor, exquisite chandeliers, lamps and lighting, custom cottage pillows, linens, bags and totes, or boutique clothing using vintage chenille and treasured fabrics, Shabby Lane Shops can direct you to the right website. You'll also find one-of-a-kind artist made jewelry, inspirational gifts, incredible art pieces and exquisite rose painted furnishings, antiques, and vintage collectibles here offered by the most talented artists and boutique owners. 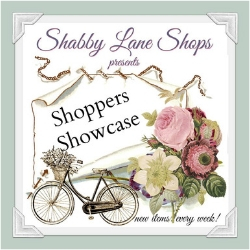 Shabby Lane Shops will save you from having to spend countless hours searching the web for all your favorite shops and boutiques so be sure to save this site as one of your favorites and join our mailing list to receive the latest news on the best shops, special announcements and latest events. Retailers looking for the best place to advertise their site please contact us. Shabby Lane Shops advertises in the most popular magazines such as Romantic Homes, Romantic Country, Cottage Style and Southern Lady. Joining our network of shops is reasonably priced and affordable and our goal is to help each and every member to succeed in their individual businesses by offering a warm and friendly as well as honest and respectful place for all business people to network and share in expenses as well as successes. You will always be treated fairly and with honesty here so feel free to contact us at any time for information. We would love to welcome you to our family! Copyright © 2015 - 2019 Shabby Lane Shops. All rights reserved.